Orgyen Samye Chokhor Ling is the first Buddhist nunnery at historic Deer Park in Sarnath. Its four acres of land are peppered with fruit trees and flowers, and it is a short walk from the monastery. 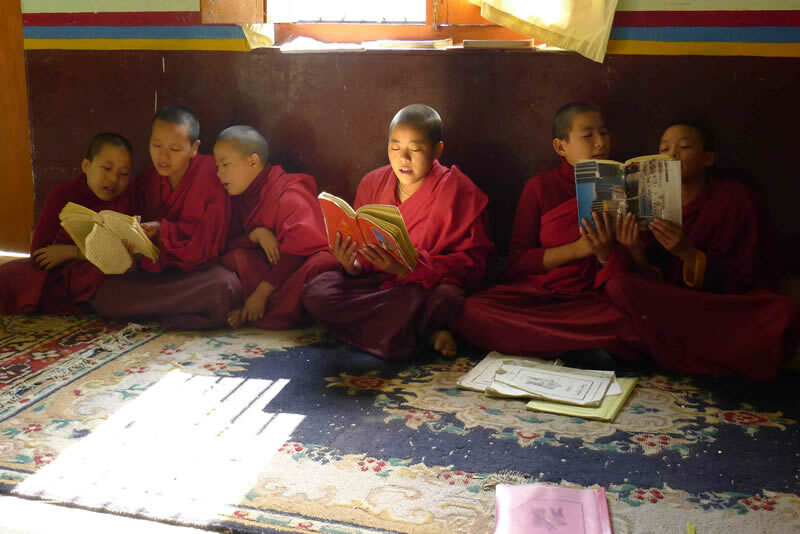 Opened in March 2003, it reflects the Venerable Khenpo Rinpoche’s commitment to provide equal educational opportunities for both women and men. At present, there is a two-story house and a new wing. This wing includes a shrine room, library, reading and study rooms, as well as better facilities for both the nuns and visitors. The nunnery now houses 10 nuns, ranging in age from 14 through the mid-30s, from Tibet, Nepal, Bhutan and Sikkim. The two senior nuns are from the same area as the Khenpo Rinpoches (in Tibet) and have both completed at least one traditional three-year retreat. The education of the nuns is very similar to that of the monks. They first begin with the basics: reading, writing, and learning the chants. 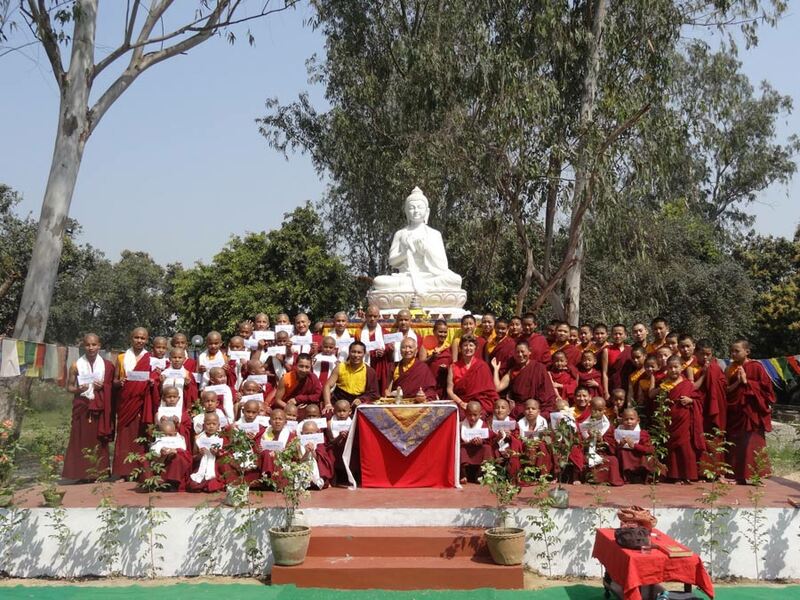 They all receive a solid academic foundation including grammar, art and English, as well as philosophy and the principles of the bodhisattva way of life. But the nuns’ education also includes the extra component of extensive Chod practice, which they practice every evening.